My first Korean language class! 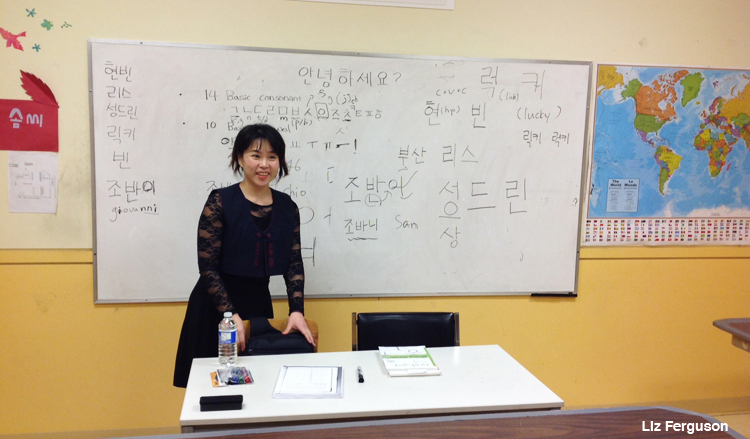 On Saturday, Feb. 21, 2015 I attended my first Korean language class. We learned how to read and write consonants and vowels (the strokes must be written in a particular order, or they won’t look right), and how to write our names. A woman or a girl will use the term eonni (often spelled unnie) when speaking with her older sister or older friend. A blog called Ask a Korean! has more information about this tricky business of how to address people. I am taking this Korean language course because I hope to return to Korea some day, and I’d like to be able to say more than “thank you” when I do. 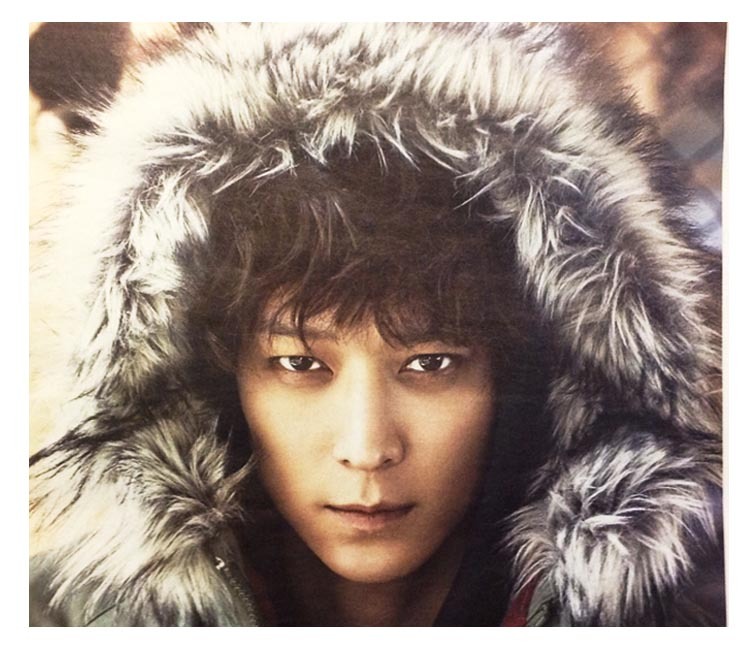 Meanwhile, I hope to understand more when I watch Korean films or listen to Korean songs. I also want to be able to read the labels when I go shopping and to share a few words with the people who work in Korean stores or restaurants. At Lesson Two I will try to ask my classmates their reasons for taking the course. The spring session at Ganada Korean Language School runs until May 9, 2015, and costs $140, payable in cash or by cheque. Lessons are given at various levels. To keep the school clean and dry, students are asked to bring slippers, heavy socks, or shoes that they only wear indoors. 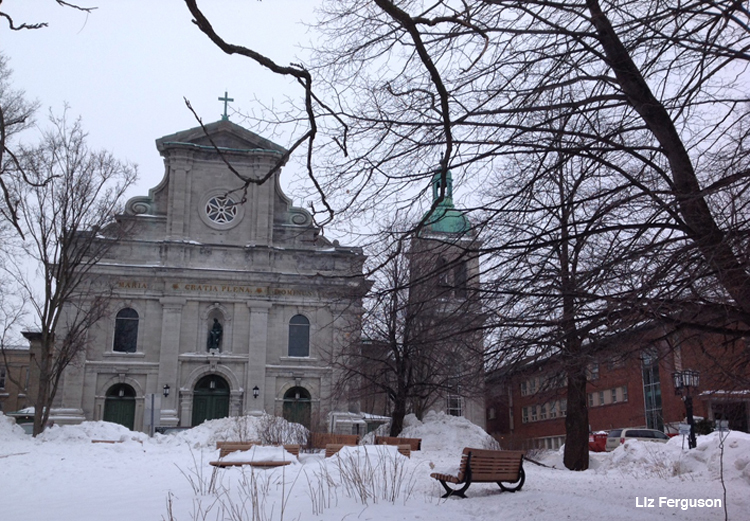 The church is near the corner of Decarie Blvd., next to the Manoir. That’s great Liz! I would love to take lessons there, but the schedule is not good for me. Have fun! Hi Jen. . . it’s really too bad that the schedule is not good for you. So sorry about that! Hi Jessica! I have told quite a few people about the school in person, too. They are very glad to learn about such a place. I thought I’d share a story I made teaching a few Korean words. Maybe you could use it…it might be fun. Oh, dear, my reply is SO LATE. My class was in Montreal, Québec, Canada. 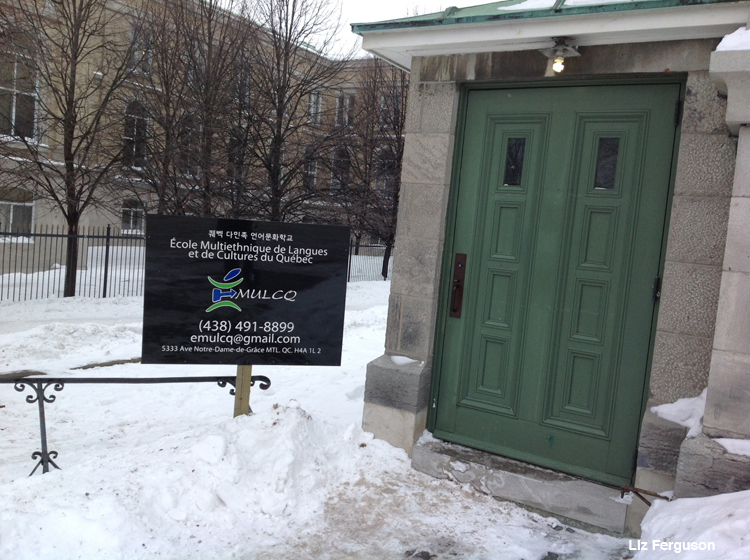 It is in Montreal, Quebec, Canada. I sent email to them and even text them from the number that i got on official web page. But no answer from them and it’s already a week :(.